A hot and calm day for a change greeted the annual 3 Rivers contest held by Caradon PGC / Saltash YC. 34 mens and 32 ladies crews completed the 5+ mile course. 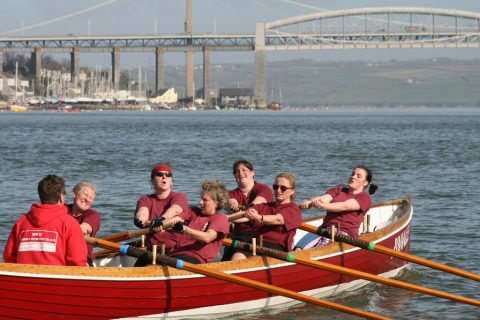 First place in ladies went to Falmouth in Irene Too and to Caradon in the mens in Millers Daughter. Flushing & Mylor entered four crews, three of which are either completely new or heavily revised from last season. 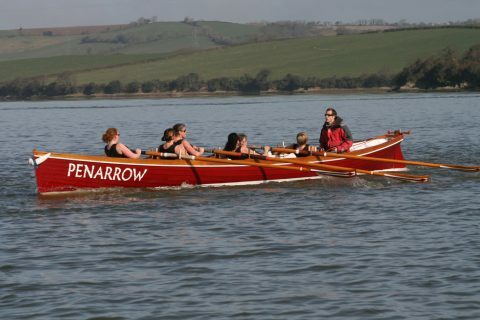 Placings – mens Penarrow 9th, Pinnacle 30th – ladies Penarrow 15th, Pinnacle 22nd. 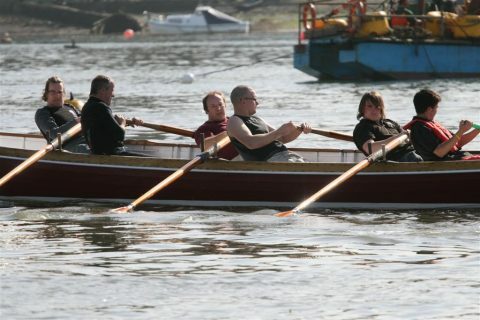 Especially well done to Tim, Kim and Paddy for completing their first races. The 3 Rivers can be daunting at the best of times and for everyone to make it through with smiles all round was great to see.